How to update your payment method and billing info. Click on 'Update credit card'. 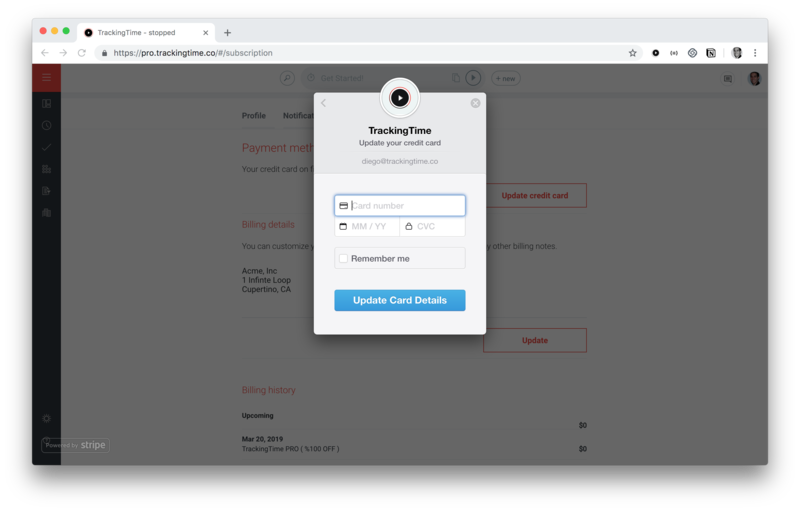 A pop-up from our payments provider, Stripe, will appear on screen where you can securely update your card. Enter your name and address linked to your new card. Enter your card number, expiration date and security code (CVC). Click on 'Update Card Details' to securely update your payment info. 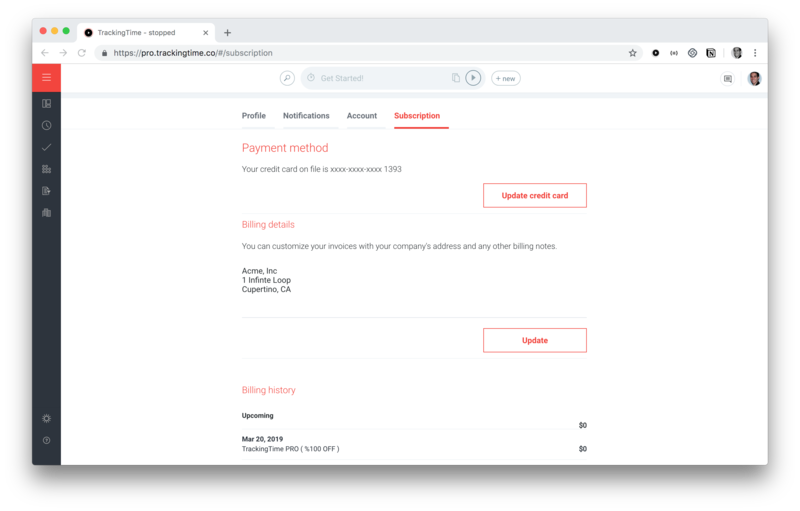 If you need any specific company details such as company name, address, tax id and any other information to be printed on your invoices, you can enter it in the text field displayed under "Billing details".